When the conditions are right paddle boarding can be one of the best ways to experience the Ocean. When stand up paddle boarding the aim is to stand upright on the board, paddling your way into the wave, or around the coast. 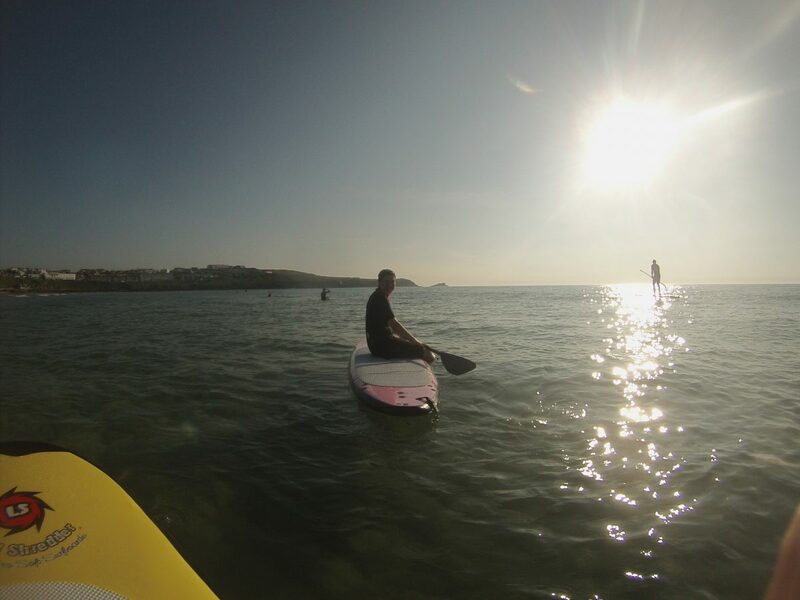 If you want to try stand up paddleboarding there are plenty to hire at Fistral Beach. If you are new to stand up paddleboarding a good method is to first start on your knees and when you start to feel more confident move to paddle boarding from the standing stance. When hiring the SUP’s life-jackets are also available and we do recommend using them. SUP Lessons are available, these are 2 hours long and will introduce you to paddle boarding. When paddle boarding the conditions do need to be suitable. For Fistral this means little or no surf alongside very little wind. If you are hiring or having a lesson we will help to advise you on conditions, and whether they are suitable for paddle boarding. We take pride in giving you the best equipment possible. That’s why we field tested our SUPS and paddles, ensuring you have access to the best equipment in Newquay.